Welcome! That's me, Megan, and my husband Idriss. This picture was taken in Morocco a couple of years ago, and we're going back soon, which is what prompted me to start this blog. Although I love to travel and explore, and I love to write, so I'm hoping this blog documents a lot more than our upcoming trip. We're moving across the country, and taking advantage of the time between places to head overseas for a couple of months. 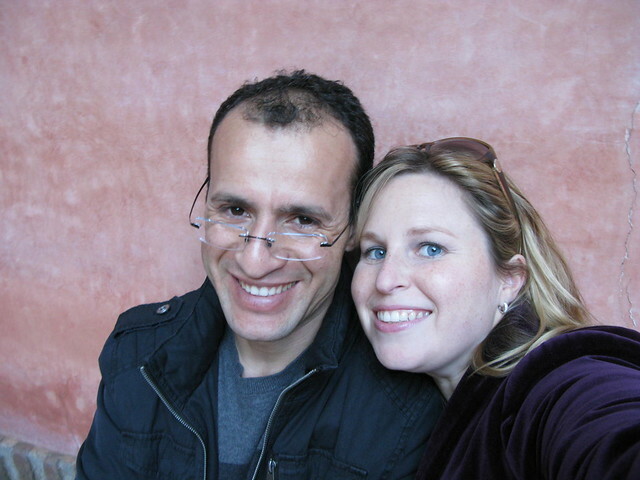 We'll be based in Marrakech (my husband is Moroccan) and traveling all around Morocco, as well as the south of Spain and maybe southern France, too, if we can swing it. We're currently gathering research on destinations from friends, just starting to pack and still need to get some gear for the trip. But I cannot wait. More details as they come in. Any tips, please send them my way! Hope you have a safe, adventurous and immensely FUN trip! We Duckies will miss you so very much.